Centralia is a friendly, historic city located midway between Seattle and Portland, just one mile east of the freeway. 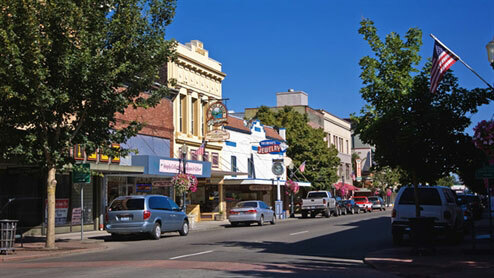 Centralia's location makes the city an ideal place to visit while traveling in Southwest Washington. A visit to Mt. St. Helens and the Volcano Center is a day trip. The city also has activities for all ages including antiquing, shopping at factory outlets, visiting museums, gazing at historical murals, and walk in the footsteps of pioneers at an original 1854 Blockhouse (a fortress during the Indian Wars) as well as a one-room schoolhouse. 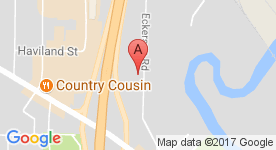 Ensuring your comfort is our business. Spacious and inviting, each of our guest rooms and suites at King Oscar is designed for comfort. Select the style of room that best suits you. We offer 94 guest rooms: 15 kings, 33 queens, 32 double-queens, 3 Jacuzzi rooms, 6 kitchenettes, 1 executive suite, and 4 handicapped-accessible rooms.